Around the turn of the century Tool vocalist Maynard James Keenan paired up with guitar tech Billy Howerdel to form A Perfect Circle, a new alternative rock group that pulled from all corners of influence and genre. Rounding out the lineup with drummer Josh Freese, Paz Lenchantin on bass and Troy Van Leeuwen on guitar, the group would make a big splash over the course of several years before fading away into the dust of hiatus and reuniting in 2010. Their breakthrough album Mer de Noms notched into the top 5 on the Billboard alongside the band's first hit single, "Judith." Now a long-standing staple on mainstream rock radio, "Judith" took the vocalistic stylings of Tool and gave them a backbone of a catchy bass and guitar riff. The hard rock edge contrasted with that of the more subdued and dreamlike "3 Libras," a slower acoustic song wrapped in strings. This dichotomy of heavy and soft continued onto their second album Thirteenth Step. More experimental and much more atmospheric, Thirteenth Step spawned the crawling and persistent "Weak and Powerless" and the circular and hazy "Blue." "The Noose" took the intensity exemplified on their first album and widdled it down to a progressive euphoria. While most songs are complex and layered, "Pet" brings the chugs back in right before the album fades off in the reverb-heavy "Gravity." Emotive saw the band venturing into cover song territory, though some songs are mere ghosts of their originals. Marvin Gaye's "What's Going On" is a lofty segue of dreamy guitar bits, while John Lennon's "Imagine" is a dark tune with a clinking music box quality that wouldn't feel out of place on a horror soundtrack. 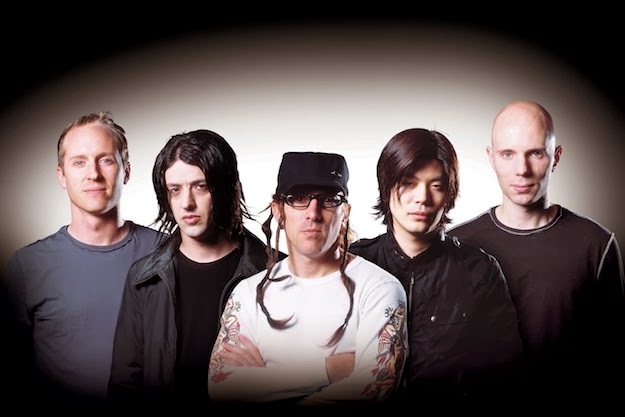 The album's lead single "Passive" took to the airwaves, but A Perfect Circle was beginning to wind down. Howerdel felt increasingly compelled to pursue a solo project (becoming Ashes Divide) and Keenan went back to work on new Tool material. With Leeuwen leaving after Mer de Noms for Queens of the Stone Age and Lenchantin going on to play in the short-lived Smashing Pumpkins spin off Zwan, it was only a matter of time before the band dissipated into the dark earth that it blossomed from. Yet, in late 2010, the band reunited with a slightly different lineup and toured across the country. Their new Greatest Hits album Three Sixty features selected tracks and a sole new track "By and Down," their first new song in about ten years. It's an amalgamation of dark progressive rock and brooding artsy orchestration that will have you shivering in your shoes. A Perfect Circle only has two albums of original material and a covers album, so it shouldn't be too hard to dive right in. The band is currently lost somewhere between side projects, writing sessions and the release of the greatest hits, but don't let that stop you. The music is all good, and if you haven't delved into the Circle before you're in for a real treat.